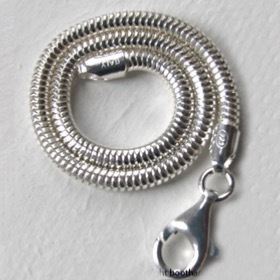 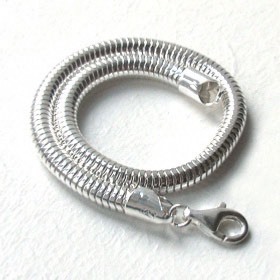 Buy A Fabulous Italian Sterling Silver Snake Bracelet! 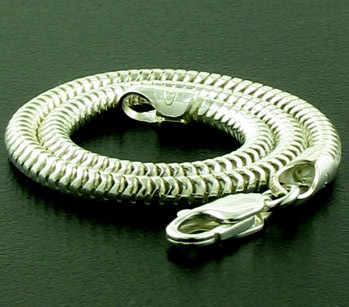 Sterling silver snake bracelets are sleek, elegant and ideal for layering with other silver bracelets or for threading beads onto. 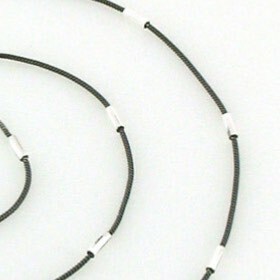 Our 3mm snake bracelet is the one used for Pandora and Troll beads etc. 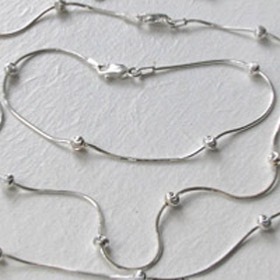 These beautifully liquid silver snake bracelets have matching silver snake chains.